Microsoft discontinued quite a few site and list templates available in SharePoint 2007 and SharePoint 2010 from SharePoint 2013 version onward. The following Microsoft link contains an overview of the discontinued / modified templates and features in SharePoint 2013 and above. In this article, I would like to focus on few of the discontinued templates (both site and list), since these templates are more common and used by majority of SharePoint 2007 / 2010 users. This scenario of collaborating on a document is already covered by the Team Site template. This template is very similar to the ‘Team Site’ and hence ‘Team Site’ is a perfect alternative. Other collaboration features exist in SharePoint 2013 and Office 2013: Lync to conduct live meetings, OneNote to take notes during meetings, and SharePoint team site or My Site to store shared meeting notes. Microsoft recommends ‘Team site’ template as an alternative for this template too. 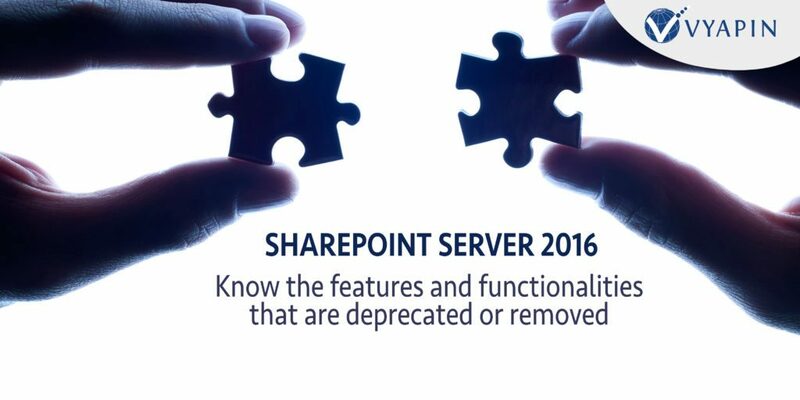 You will not get the look and feel associated with the discontinued site templates in SharePoint 2013 and later. Some of the list templates available in SharePoint 2007 (pertaining to ‘Meeting Workspace’) such as ‘Agenda’, ‘Objectives’, ‘Attendees’ etc… are also discontinued in SharePoint 2013 and later. Hence, instead of using these templates, I recommend you to use ‘Custom List’ template available in SharePoint 2013 and later to maintain a few look and feel elements of the old site templates. You will not get the preview image of the slide content in thumbnail (as you see in the slide library). You cannot publish slides to the document library from the PowerPoint file, as you conveniently did in a SharePoint 2007 slide library. You cannot copy slides to PowerPoint file, as you did in a SharePoint 2007 slide library. My answer is “YES”, you can replace the site / list templates on the fly during migration by using the Site and List Template Mapping feature available in Vyapin Dockit migrator product, when migrating sites & lists from SharePoint 2007 / 2010 to SharePoint 2019 / SharePoint 2016 / SharePoint 2013. Arun Kumar is Software Engineer working as Team Leader at Vyapin Software Systems. He is responsible for developing Dockit Migrator, SPListX at Vyapin. He blogs about Microsoft technology and Vyapin SharePoint migration and reporting tools. What does SharePoint Report? Office 365 Security Audit – How to Identify Your Internal Threats?